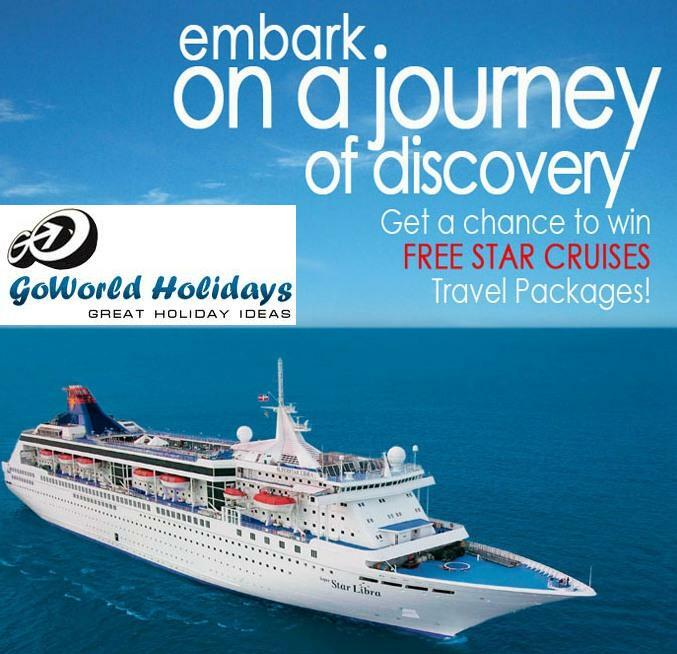 Stand an amazing chance to win a fully-paid Super Star Cruise package (2 Nights/3 Days), for 2 adults, travelling together, when you book any of our Singapore/Malaysia Package (6 Nights/7 Days)for 2 adults through us before 31st Jul (with travel date not later than 31st Dec'12). Additionally, write to us "Why do you love Singapore," in not more than 3500 words (not more than the content for 1 A-4 size paper). **Prizes are not exchangeable for cash and/or other items. **Contestants may submit only one entry. **All entries will be judged based on creativity. **Closing date for entries is 14 August 2012. **Winners will be notified via email by 30 September 2012. **GoWorld Holidays do not hold responsibility for any loss, damage, costs, expense incurred by the participation of this contest. **GoWorld Holidays reserve the right to amend any terms and conditions without any prior notice. **GoWorld Holidays' decision on all matters relating to the contest shall be final, binding and conclusive and no correspondence shall be entertained. So many things to do, so little time. This is something that we all feel when we're on a holiday, especially in a lively city such as Hong Kong. But not to worry! We've rounded up 10 must-do activities for your visit to Hong Kong. 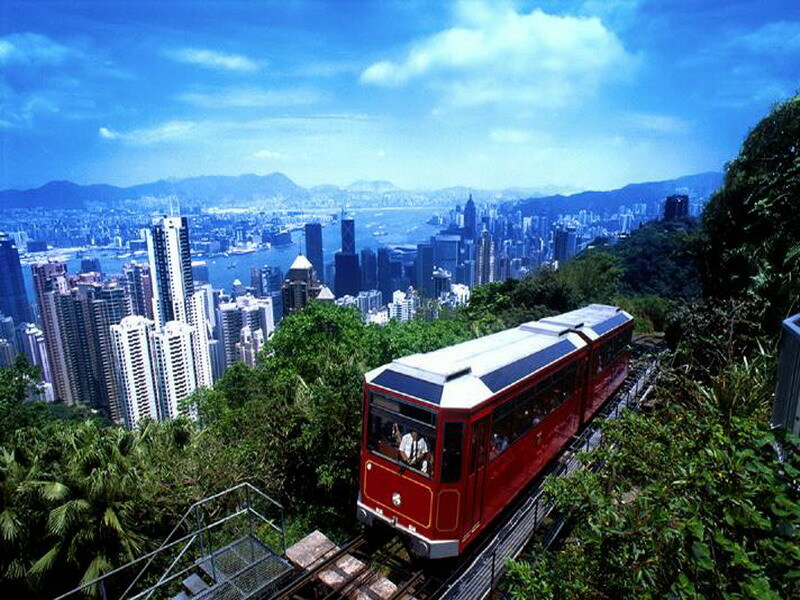 1,800-foot-high (548 meters) Victoria Peak offers great views of Hong Kong's well-developed skyline. Climb beyond the point where the tram drops passengers off via Mount Austin Road to glimpse outlying islands, or stroll on other paths to enjoy views. Hong Kong lives up to its billing as a shopping mecca. The city is obsessed with shopping, and there are malls and markets, boutiques and bargains crammed into every available corner. Whatever you want, it’s here and usually at a very decent price. Perhaps the best thing about Hong Kong is the food. Imitated from London to Lima, the Cantonese food here is the inspiration and is never beaten. From the feast that is a lunchtime Dim Sum to the pick and point snacks on offer at Dai Pai Dong, Cantonese fans will be spoilt for choice. As if that wasn’t enough, the Michelin Guide has just thrown a few stars around the city. Tian Tan Buddha, also known as the Big Buddha, is a large bronze statue of a Buddha Amoghasiddhi, completed in 1993, and located at Ngong Ping, Lantau Island, in Hong Kong. The statue is located near Po Lin Monastery and symbolizes the harmonious relationship between man and nature, people and religion. It is a major centre of Buddhism in Hong Kong, and is also a popular tourist attraction. The cheapest way to cross Hong Kong Harbor with the bonus of seeing dramatic walls of skyscrapers lining both sides. Time your crossing around 8 p.m., when the famous skyscrapers become part of a coordinated light show. The Temple Street at night is filled with various fortune tellers who can give you readings. They consists of a varied bunch with differing skills, from reading of tea leaves and palms to Tarot cards and the traditional fortune teller based on your birth date and Chinese zodiac. Some of the more popular ones have queues up to an hour or so. A great way to sightseeing on Hong Kong Island; little has changed since 1904. Several lines traverse the western end of the island to the east, with one line going to Happy Valley. For those into a bit of gambling or just wanting a great night out, take off the tram at Happy Valley Race Course. This local passion takes place from September to June in the suburban town of Shatin on Saturdays and at the 55,000-capacity Happy Valley track on Hong Kong Island on Wednesday nights, the more exciting choice. The enthusiasm among the big-betting, chain-smoking punters is infectious. A buzzing center of clubs, bars and restaurants, this buzzing estate of trendy establishment is a popular hangout place for the night owls, both locals and tourists. Located smack in the middle of Hong Kong’ Central area, the place is always crowded every night. You can also find various bistros and pubs around the area, serving midnight supper and snacks for bar-goers till late at night. Lantau Island is the biggest of the 230 or so islands belonging to the territory of Hong Kong. Take the MRT to Tung Chung, and make your way towards the Po Lin Monastery through a 30-minutes cable car ride called the Ngong Ping 360. There is a cultural village at Ngong Ping where you can have refreshment and shop for souvenirs, but the main treat is the Giant Buddha statue. This extraordinary statue is 34 metres high, and visitors can climb the 268 steps to reach the platform where the Buddha is seated. For those more adventurous, skip the cable car ride and enjoy the natural hiking trail through the hills. For various options for visiting Hong Kong, contact us today. From the cosmopolitan charm of Penang to the hippie getaway of the Perhentians, Malaysia embraces a diverse array of islands. Here, in no particular order, we present our top 10. Where to stay: For high-end lodgings, check out the Tuna Bay Island Resort. Budget hunters should look up Abdul Chalet. The island has two claims to fame that continue to be hyped by media and marketers. 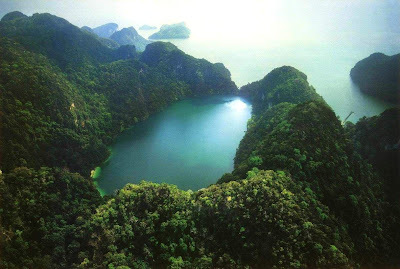 One, the dramatic topography of this teardrop-shaped isle in the South China Sea was (supposedly) used as a backdrop for the 1958 movie "South Pacific," while Time magazine named it one of the world's most beautiful islands in the 1970s. Though it's now a firm fixture on the tourist trail and has lost a little of its exotic mystique, it retains –- where many of its Southeast Asian contemporaries have lost theirs –- the natural environment and wildlife that first made it famous. Where to stay: They don’t come more recommended than Bagus Place Retreat, winner of a 2012 Travellers’ Choice award from TripAdvisor. For a boutique experience, check out JapaMala. Two years later Langkawi fell to the invading Thais, with much of its population subsequently dying from starvation. 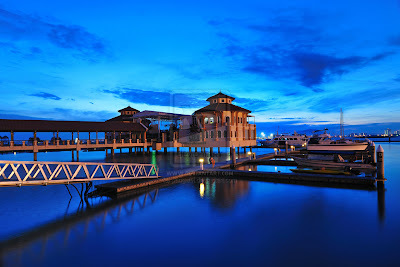 The island was then indeed barren for a long time, before Prime Minister Mahatir Mohamed –- the colossus of Malaysian politics who also built Kuala Lumpur's Petronas Towers and the Sepang F1 circuit -– decided to turn it into a resort island in 1986. 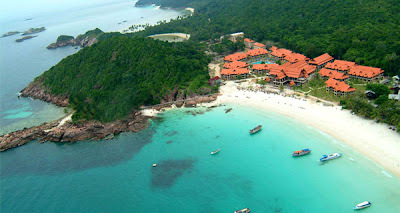 He declared it a duty-free island, and ever since then Langkawi's growth has been nothing short of spectacular, with high-profile resorts dotting its sandy shores. The best way to take it all in is on the 2,200-meter-long cable car, which rises some 710 meters above sea level. Interestingly, Mahsuri's husband and son moved to Phuket after the Thai invasion, and it was on that island that her seventh generation descendant was born –- in the year 1986. Coincidence? Where to stay: They don’t come much more stylish –- or eclectic –- than Bon Ton, eight traditional Malay homes set in a former coconut plantation. 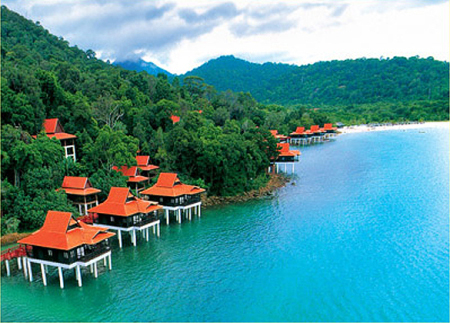 Or there’s always the Four Seasons Resort Langkawi. However, its importance gradually waned over the centuries, before it was rediscovered as a holiday destination and reinvented as an IT hub. Today, under the close eye of Malaysian opposition and Penang Chief Minister Lim Guan Eng, the island is proudly parading its past –- the UNESCO status granted to historic Georgetown in 2008 guarantees that. But its greatest attraction is its street food -– from Penang laksa off Macalister Road to banana leaf in Little India to seafood on Gurney Drive –- you'll find it all here. Alongside a raft of improvements designed to attract even more visitors, including investment in public transport, a tree planting program, pedestrianization schemes and a schedule of new cultural festivals and fairs, this magnificent island –- only slightly smaller than Singapore –- is once again making its mark on the world stage. 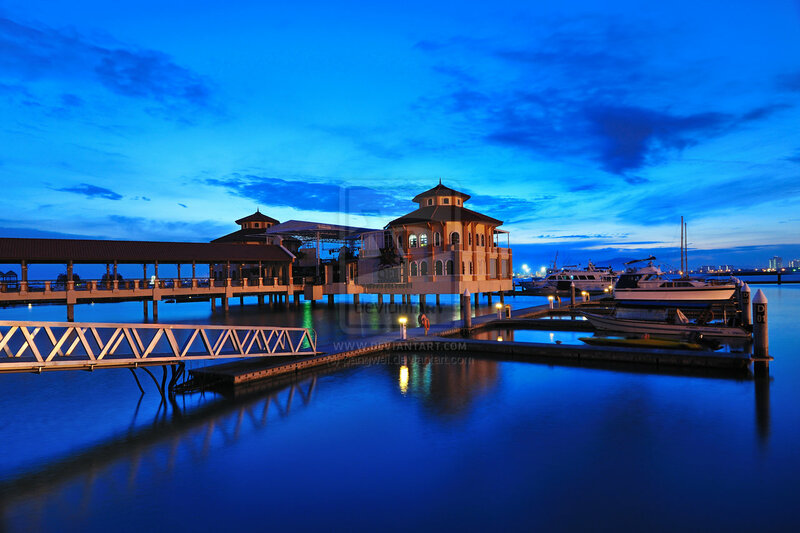 Located off the coast of East Malaysia, sandwiched between Sarawak and Sabah, Labuan is one of three Federal Territories (the others are Kuala Lumpur and Putrajaya). Its special status as an international offshore financial centre and free trade zone has allowed it to attract outside investment from the financial sector (some 6,500 offshore companies are based here). Long-term, the Malaysian government envisions the island as becoming one of the world’s major offshore business centres, akin to the Middle Eastern hubs of Dubai or Bahrain. If you’re not involved in the financial services, there are other reasons to visit such as wreck diving. 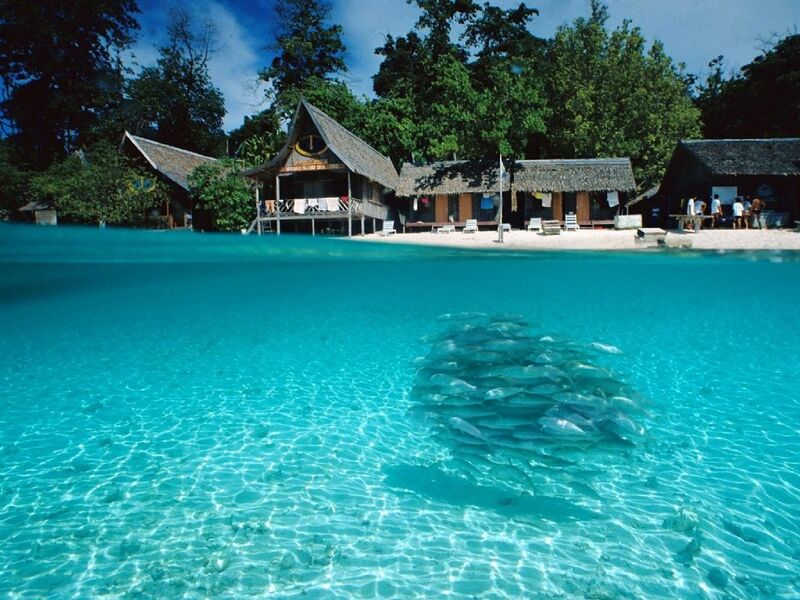 Over the years, numerous ships were sunk in the shallow waters off Labuan, making it ideal for novice divers. These are simply known as the American, Australian, Blue Water and Cement Wreck. Where to stay: For both service and quality, it’s a close toss-up between the Tiara Labuan and the Grand Dorsett. 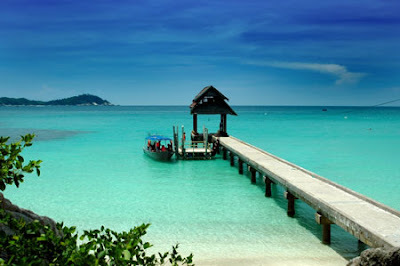 Getting there: There are daily flights to Labuan Airport from Kuala Lumpur, Miri in Sarawak and Kota Kinabalu in Sabah. 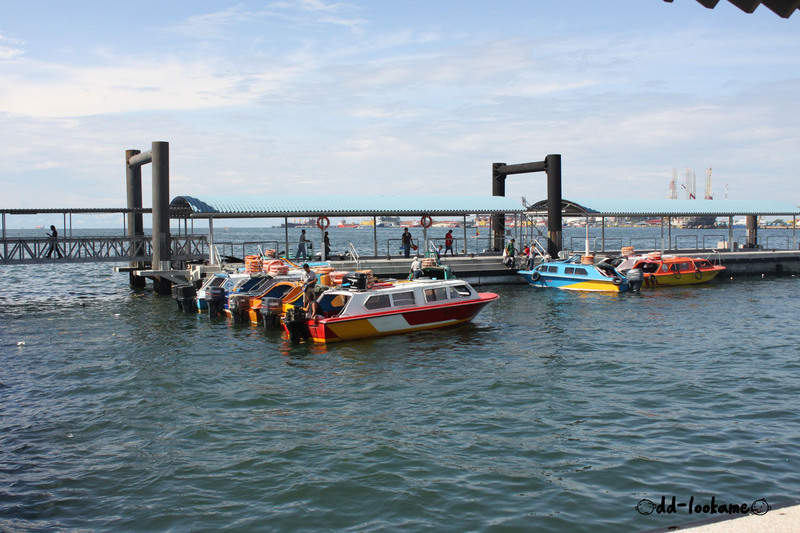 There is also an air-conditionied ferry to Brunei. A creation of the Malaysian Navy, which reclaimed land from the sea in order to state the nation’s sovereignty over the Spratlys, that South China Sea island group also claimed whole or in part by China, Taiwan, Vietnam and the Philippines. Getting there: The only way in and out is on a charter flight from Kota Kinbalu, with the price included in the various packages offered by the only place to stay on the island. In order to protect the fragile ecosystem, in 2004 the government ordered all of the dive resorts off the island, banned night dives and set a limit of 120 divers per day. The move worked, as the surrounding waters continue to teem with life. It's home to 3,000 species of fish, hundreds of species of coral, an abundance of rays and sharks and large populations of green and hawksbill turtles –- so much so there is a famous turtle tomb, an underwater labyrinth that has drowned many of the unfortunate sea creatures. 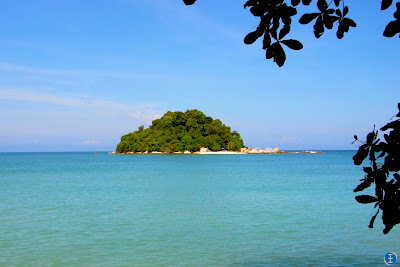 Redang: For a "Summer Holiday"
The Redang archipelago actually consists of nine islands, namely Lima, Paku Besar, Paku Kecil, Kerengga Besar, Kerengga Kecil, Ekor Tebu, Ling, Pinang and Redang itself. Together, they form a marine park situated 45 kilometers off the east Peninsular Malaysia state of Terengganu. Accordingly, the island also has its own airport, served by Berjaya Air, which since 2004 has flown daily to Kuala Lumpur’s Subang Airport and Singapore’s Changi. You’ll need to stick close to the shoreline regardless, as the interior is mostly impassable, apart from a road that connects the airport with the coast. In 2000, the island was the setting for Hong Kong movie "Summer Holiday," which featured Cantopop star Sammi Cheng and Taiwanese heartthrob Richie Ren. The success of the film led to a sudden influx of tourists. Getting there: If you don’t want to pay to fly in directly, the alternative is to fly to Kuala Terengganu, and then continue by car and take a ferry from the port of Merang. There aren’t many chances to stay on a Sultan’s private island. Rawa is one. Owned by the family of the Sultanate of Johor, Rawa is a small island 16 kilometers off the east coast of Peninsula Malaysia. 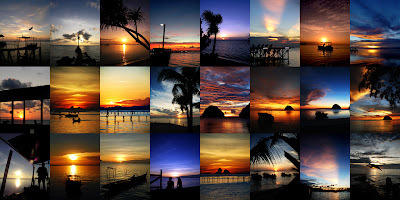 Where to stay: There are only two places to stay on the island: Rawa Island Resort or the smaller Alang’s Rawa. Where to stay: For a splurge, book a sea villa at the exclusive Pangkor Laut resort. This stunning one-of-a-kind property, part of the YTL group of hotels, has a small island all to itself. Or, try the Pangkor Island Beach Resort.